Clive C. Solomons, Ph.D., F.A.I.C. How long should a person give the low oxalate diet and calcium citrate to work before adding additional treatment(s)? Based on the Pain Project research, I recommend that individuals begin by undertaking the low oxalate diet alone, without any supplements, for at least two weeks. Simply eliminating high oxalate foods results in noticeable pain reduction for some women. After being on the diet alone for a few weeks, adding calcium citrate (along with staying on a low oxalate diet) frequently results in a change in pain level. It usually takes at least 4 to 6 weeks for an individual to begin noticing a change. Some individuals report that it can take longer, as much as 3 to 6 months, or more. Once improvement in pain begins, however, gradual improvement often continues for up to a year. When should Ox-Absorb be tried? How long should a person give it to work? Individuals who have not experienced appreciable pain relief by reducing oxalate intake from food and taking calcium citrate for several months (see above) can give Ox-Absorb a trial. Taking Ox-Absorb for one month is sufficient to ascertain whether it is going to help or not. A few Pain Project participants have reported that Ox-Absorb produces pain relief when used alone. Most participants, however, report the benefit from Ox-Absorb occurs in combination with a low oxalate diet, or both the diet and calcium citrate. Approximately 50 percent of individuals who try Ox-Absorb notice little or no additional improvement in pain. borNevertheless, they show a high rate of recovery on a combination of other interventions developed through the Pain Project research. At what point should NAG and/or HTO be added to the basic treat-ments? How long should a person give each to work? Many participants in the Pain Project research have experienced considerable benefits in symptom relief from adding NAG (N-Acetyl-Glucos-amine), HTO (hexadecyl tetradecenoyl oxtodecanoate), or both to their basic treatment regimen. Based on the experience of hundreds of participants in the Pain Project over many years, I suggest starting with NAG, and giving it a 3-month trial. Although some individuals begin to experience symptom relief within 6 to 8 weeks of starting NAG, many must take it for up to 3 months to notice improvement. After giving NAG a trial of three months, or continuing it beyond three months until reaching a plateau of improvement, then HTO can be introduced if a full recovery has not already been reached. Both NAG and HTO, separately, should begin to bring about additional improvement in symptoms within 3 months each. Do you ever recommend that Pain Project participants undertake all the interventions at once? Each intervention should be introduced slowly, beginning with small doses, and building up to the recommended larger dosage. After a new supplement is introduced, the individual needs to stabilize on it, allowing about 2 to 4 weeks, at minimum, to stabilize. Eventually, all the supplements can be taken according to Pain Project guidelines and recommendations. Do you ever recommend that the Pain Project interventions be tried in a different order, or different combinations? The low oxalate diet, calcium citrate, and Ox-Absorb are components of basic oxalate reduction therapy. They should be undertaken first. Many individuals achieve complete pain and symptom relief using these, and additional therapies are not needed. NAG and HTO are elements of tissue stabilization therapy. (See The VP Foundation Newsletter, Number 27.) They can be undertaken by individuals who have not improved sufficiently from oxalate reduction alone. Each treatment should be tried for at least the minimum time recommended before adding the next treatment, even if no improvement occurs. Improvement often begins well after the minimum time recommended. As long as pain and other symptoms are improving, treatment time at each step should be extended. The next treatment step should be undertaken only after improvement levels off. Fluctuations, or increases and decreases, in pain are normal at each step. A minimum of 2 to 4 weeks to stabilize should be allowed at the beginning of each step. Gradually, an overall improvement in average pain level will occur. Complete resolution of pain and other symptoms can occur at any step. Clive C. Solomons, Ph.D., F.A.I.C., is a semi-retired biomedical research scientist in Denver, Colorado. 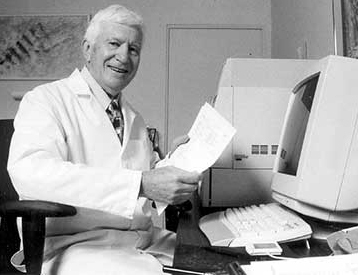 In 1986 he discovered the link between oxalate and vulvar pain. Through research known as The Pain Project, he developed effective treatments based on an understanding of vulvodynia, interstitial cystitis, fibromyalgia, and irritable bowel syndrome as a connective tissue disorder. He has collaborated with the Foundation since 1992, helping thousands of women, and a few men recover from the devastating effects of this disease. Dr. Solomons is former Professor and Director of Research for the University of Colorado. During his academic career, he published 73 original research papers in peer reviewed medical and scientific journals, and contributed chapters to six books. He has obtained 13 patents as the result of his research in the biomedical industry. In 1973 he received the Kappa Delta Research Award from the American Academy of Orthopedic Surgeons for outstanding research in genetic bone disease. A Fellow of the American Institute of Chemists, Dr. Solomons has been research director of Scientific Connections, a consulting firm, the past two decades. His wife, Ruth S. Solomons, Ph.D., retired clinical psychologist, is a partner with him in Scientific Connections. They are currently helping the Foundation publish a practical book on his research and the successful treatments he developed during his collaboration with the Foundation. Although Dr. Solomons no longer corresponds individually with participants in the Pain Project, he welcomes positive updates from all 3,800 participants with whom he worked for so many years. Our gratitude, love, and good wishes continue to go out to Drs. Clive and Ruth Solomons.